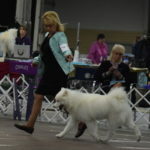 Sandi A New Champion shown by Connie Sager! Sandi is from Samantha’s first litter and our little spunky princess. She has a great temperament and sweet disposition and loves everyone. 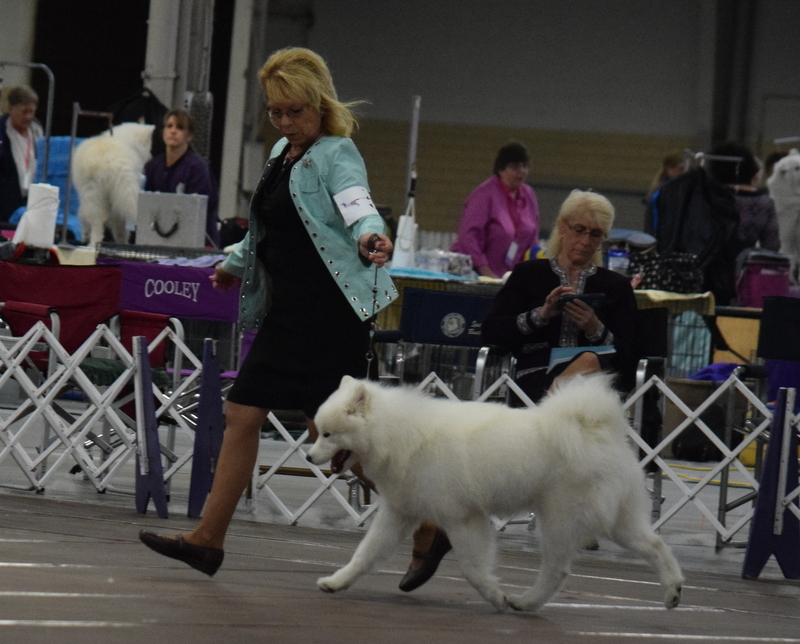 She got Best of Opposite in Sweeps in 2015 and that year she showed at the Samoyed National. 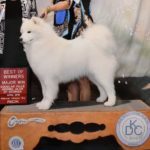 Sandi got her Championship at 2 years old when she finished in Perry, Georgia with a 4 point major. 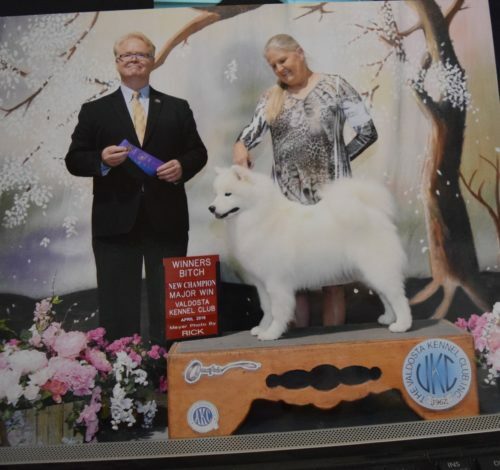 She is now working towards her Grand Championship! Sandi and I At the National!